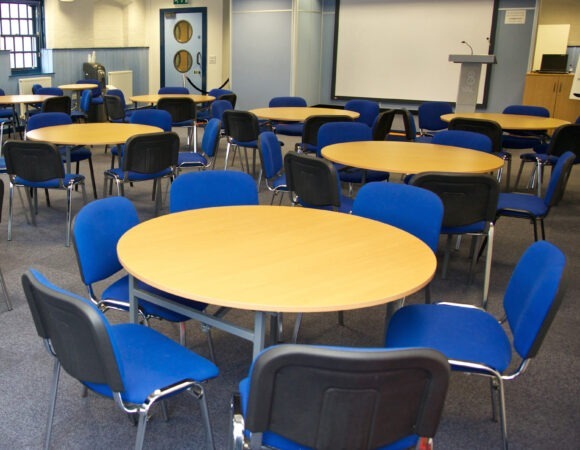 VAL is a meeting and conference venue, based at our Newarke Street offices in Leicester city centre. Because VAL is a charity, every booking helps us to continue our mission of changing lives for the better in Leicester and Leicestershire. 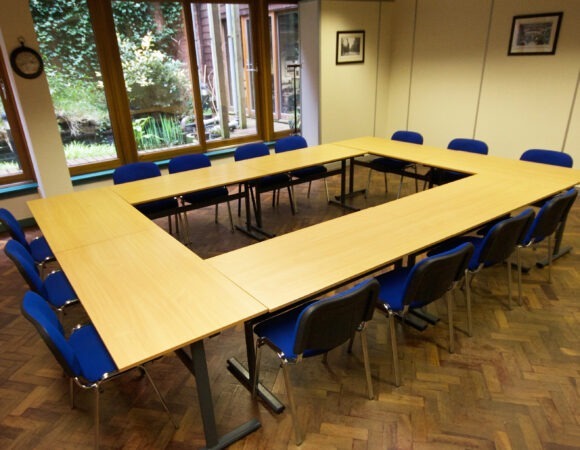 Meeting rooms can be set up in a variety of layouts, perfect for anything from one-to-one interviews to board meetings and presentations. They come equipped with projectors, laptops and flipcharts, with options for coffee and catering. Wifi is available free of cost for all bookings and our friendly staff are on hand all day to ensure your experience using VAL Spaces is a positive one. Our conference suites can accommodate up to 120 people in a variety of layouts. Both rooms are equipped with a PA system, projector and screen, with an option for a stage and lectern and additional screens at the side of the room for maximum effect when presenting. We also offer catering for all of our conferences, ranging from teas and coffees to sandwiches and buffet items. Submit a booking enquiry and our team will be happy to help you complete your booking.